The security threat vectors have certainly erupted both in numbers and complexity, with ever-expanding landscape of ransomware attacks and high-profile data breaches. This is all thanks to the rise of multiple digital communication channels like social media and mobile, and emerging technologies like IoT. Enterprises can’t leave security as an after thought amidst their fierce digital transformation drive. To address and confront this daunting scenario, one needs to be armed with a compelling mix of strategic knowledge and a good eye on cutting-edge security solutions. 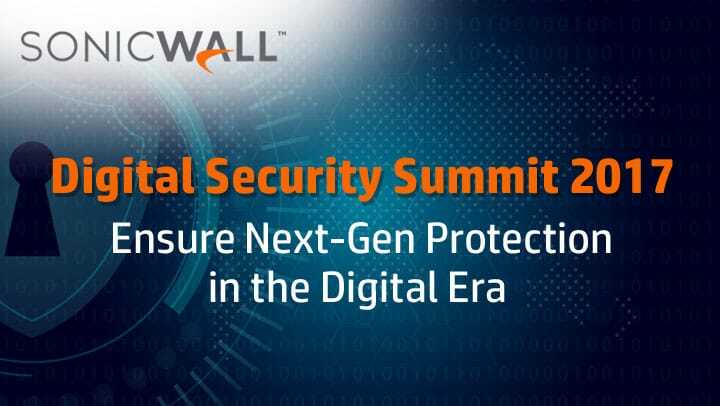 This is exactly what the CMR-Sonicwall Digital Security Summit achieved with its pit-stops across Delhi, Bangalore and Mumbai. With a string of eye-opening Knowledge Sessions, Power Panels, thrilling demo spots of cutting-edge security tech like Cloud-based Sandboxing – all fortified with the best of speakers and experts – the Digital Security Summit was an incredibly enriching and enlightening experience for about 200 CIOs and CISO from 160+ unique companies who attended the same. While CIOs and CISOs from almost all verticals and notable organizations across India gathered to understand the core security concerns prevalent around ransom-ware 2.0, IoT, Cloud, Mobile etc. they also got a deep opportunity to comprehend and combat the new landscape through interactions with security experts and peers who shared insights on security policies and practices.The event covered all concerning areas of security, including Ransomware, Spear-phishing, Wireless security, and Mobility to name a few. The event series saw sessions by the leadership teams of Sonicwall and Hitachi, which included Wias Issa, Vice President and GM, APJ, SonicWall; Debasish Mukherjee, Country Manager – India & SAARC, Shrikanth Venkatesh, Director – NIS, DigitalTrack, Neel Shah, Chairman – Insight Business Machines Pvt. Ltd, and Vivek Gupta, Vice President – Hitachi Systems Micro Clinic. The audience also witnesses an exciting onstage demo of Cloud-Based Sandboxing by Solutions architects from Sonicwall–Anirudh Som, and Pralobh Menon. 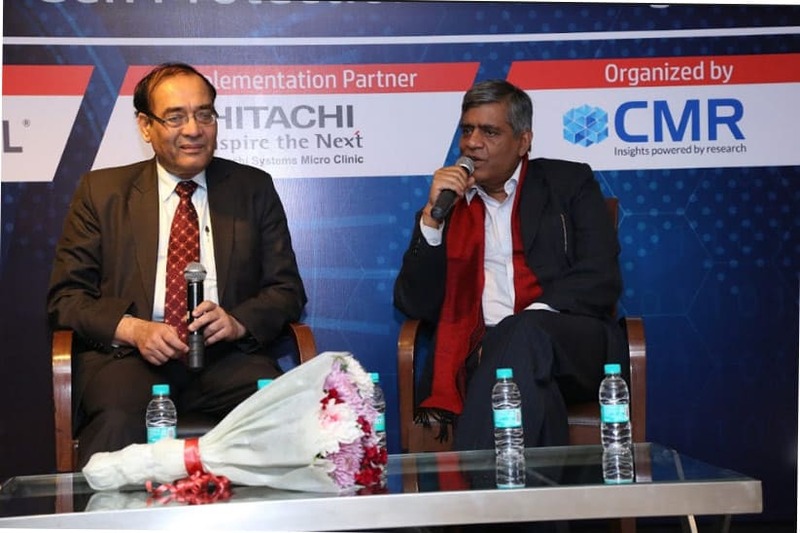 In Delhi, the audience had the pleasure of witnessing a fireside chat between Pradeep Gupta, CMD-CyberMedia and none other than the first CISO of the country–Dr. Gulshan Rai, the National Cyber Security Advisor to the Govt. of India. The discussion helped everyone get a better grip on how enterprises should approach security in a fast-moving digital world that spreads far beyond the four walls of an office. This was the topic of discussion during the panel discussions that ensued across all three cities. The panelists included a mix of CIOs, CISOs, industry experts and govt. officials. The discussions were moderated by Apalak Ghosh, Principal Consultant – Emerging Technologies Research, InfoTech Practice, CMR. Panelists in Bangalore were Lopa Mudra Basu, Global CIO, Ocwen Financials, Ajay Bakshi, CIO, Aegis Global, Piyush Chowhan, CIO, Arvind Fashions, Sumit Malik, CTO, Technicolor, Debashish Mukherjee, Country Manager – India & SAARC, SonicWall, and Shrikanth Venkatesh, Digital Track. Delhi saw an illustrious panel with representation from both the Govt. and private sector. The panelists were Debashish Mukherjee, Country Manager – India & SAARC, SonicWall, Reena Malhotra, Director (NT-III), Ministry of ICT, Govt. of India, Navdeep Singh Ahluwalia, Head Network & Information Security, Dalmia Cement (Bharat) Ltd, and Dr. JS Sodhi, VP & CIO-Amity Education Group and Executive Director-Cyborg Cyber Forensics & Information Security Pvt Ltd. The event turned out to be a fast door into the future- just as planned and as expected. Who is the leader of CRM market?